Perendale fleeces are fairly rare in the United States, and are in demand by handspinners. We sell our fleeces at present at the Maryland Sheep and Wool Festival (each May), as well as at the Shenandoah Valley Fiber Festival (each September). We occasionally also post our fleeces to online groups. And of course we always welcome handspinners to come to our farm to select fleeces for themselves! Prices vary according to the age of the sheep, its color, and the quality of the fleece. 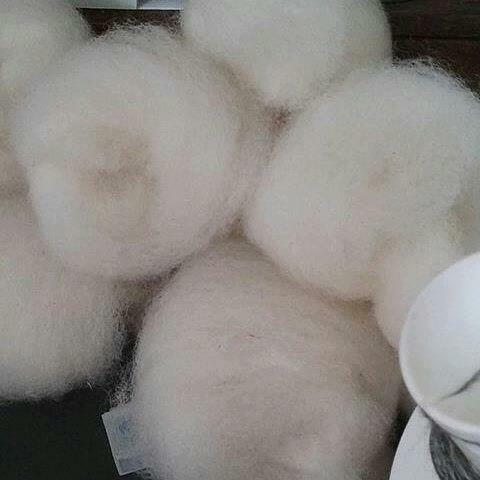 Lamb fleeces (typically softest) are valued more highly by handspinners, as are fleeces from natural colored (black) sheep and fleeces with a lot of “crimp” (typically associated with a finer micron count). Our fleeces range in quality and price from $12/lb for “next-to-the-skin soft” lamb fleeces, to $3/lb for “bargain basement” fleeces best reserved for stuffing pillows or dog beds. Our ewes and adult rams are shorn each year in late February/early March (prior to lambing); our lambs are shorn a bit later, usually in June, so that they don’t suffer through the heat of a mid-Atlantic summer. 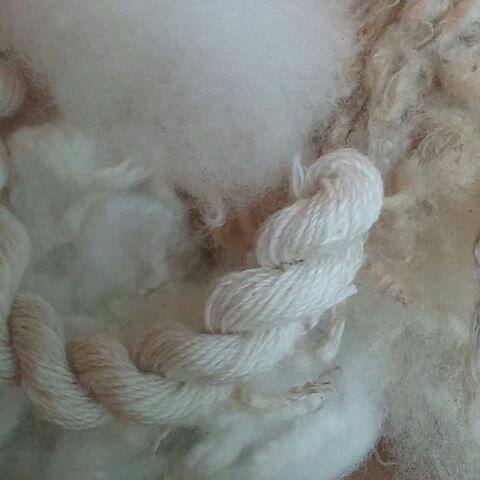 Our shearer is highly skilled, having won the U. S. Blade Shearing Competition in 2011, and has competed in international sheep shearing competitions, so you should expect fleeces to be relatively free from “second cuts”. 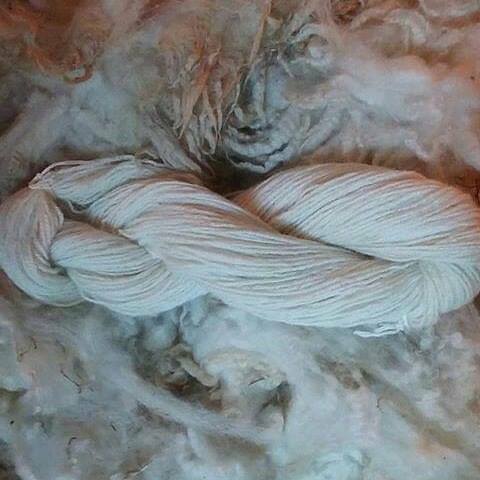 We offer raw (unwashed), lightly skirted fleeces, either from adult ewes or from lambs, suitable for handspinning. Note that we do not “coat” our sheep; this avoids felting of the fleece, and also puts our sheep at less risk of overheating in the summer. As a result, our fleeces may contain a small amount of vegetative matter (VM), easily dealt with as we feed mainly orchardgrass hay in the winter. Jurors at the Shenandoah Valley Fiber Festival have commented on the relatively low amount of VM in our fleeces. We check each fleece for soundness. Perendale sheep, originating as a Romney x Cheviot cross, is a “longwool” breed. The “Fleece & Fiber Sourcebook” notes that Perendale is “easy and pleasant to spin”, and that its “slightly crisp quality should help texture patterns show up nicely in knitted or woven textiles”. 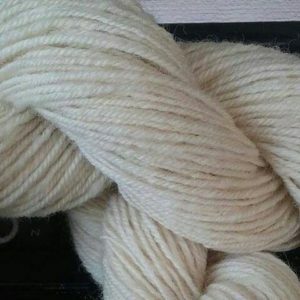 Perendale fiber is best known for its “Nice, even crimp; open staples; yarns with light weight and warmth for their size, because they are high bulk”. Fleeces typically average a staple length of at least 5” and a micron count of 28-32. We sell by the whole fleece only. Most of our fleeces will be offered for sale on Facebook; contact us for details. Also please contact us in advance if you’d like us to reserve a fleece from a particular lamb or adult sheep. Here are examples of what a local fiber artist, Laurel Haring, created from one of our yearling fleeces; photos used by permission.